Nice post. I certainly have an affinity with classes 08, 47 and 56. 08’s just going about their business. And, 47 and 56 pulling the coal wagons through Worksop station. Also, got taken to the National Railway Museum when I was a nipper so there are a number of A3’s and A4’s gracing my layout. I have an 08 shunter. 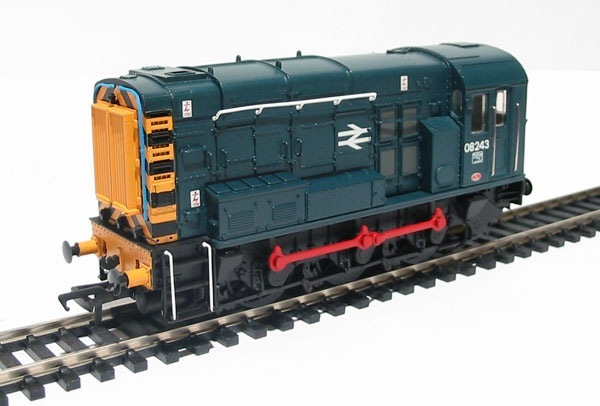 It’s a Bachmann one. They’re good and they’re outside framed (OK I know the new Hornby one is considered better but that doesn’t make the Bachmann one bad). I’ve always wanted an 08 and a BR blue one too. This in itself is a little odd as I’m not really a corporate blue era person. The reason though comes from a couple of incidents. When I was 4 (in 1982) I spent a week in hospital. From my vantage point in the hospital I could see the railway below and it looked like a model railway.